Margaret was born in July 1928 in Gairloch, Wester Ross. Her father worked at sea and her mother catered for holidaymakers and she also ran a small croft. Margaret grew up in Gairloch before leaving to join the WRENS. 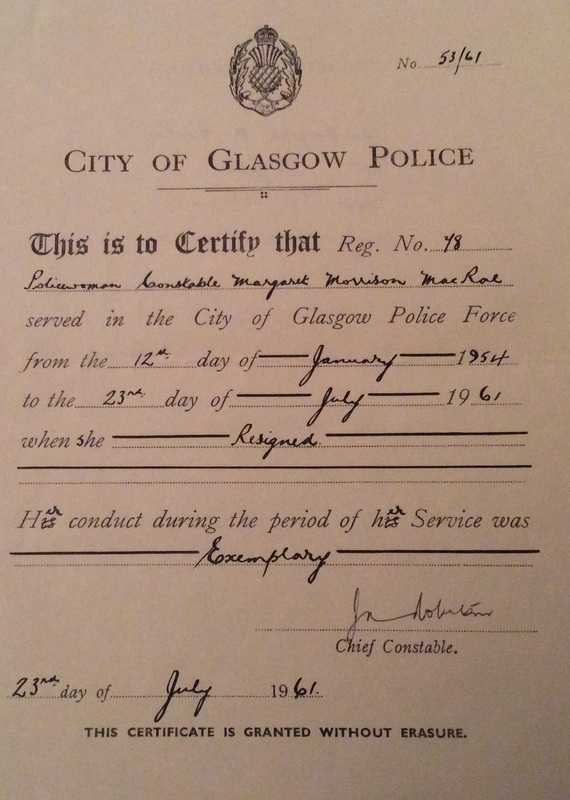 On leaving the WRENS she sought a career in the police, joining Lanarkshire Constabulary in September 1950. 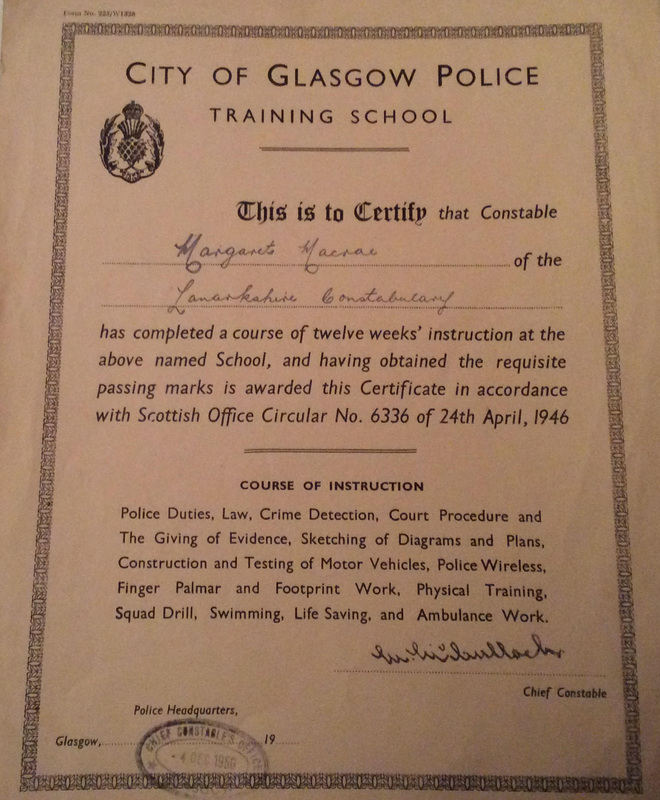 She spent 12 weeks police training at the City of Glasgow Police Training School at 71 Oxford Street, Glasgow. 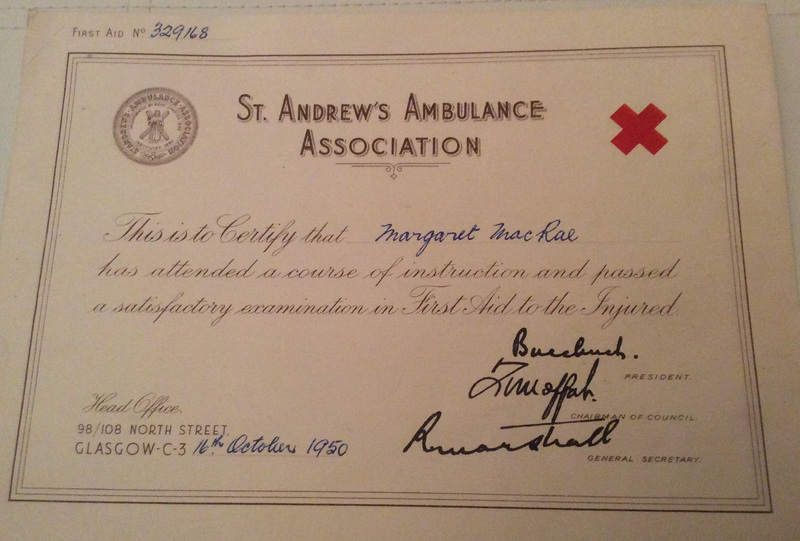 On completion of her training Margaret was posted to Bellshill. 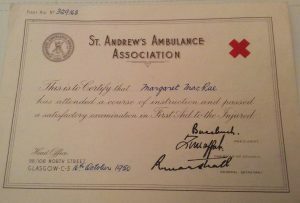 She later worked in Uddingston and latterly in her Lanarkshire service at Baillieston. 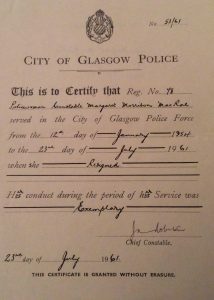 On the 11th of January 1954 Margaret resigned from Lanarkshire Constabulary and on Tuesday the 12th of January 1954 she joined the City of Glasgow Police. 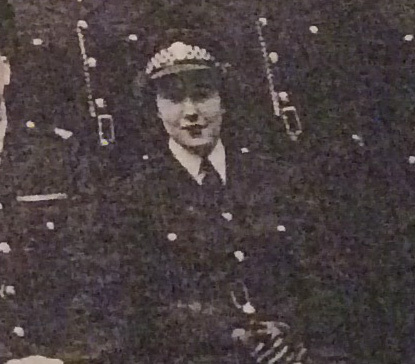 During her police service Margaret performed general police duties, predominantly working with women and children. 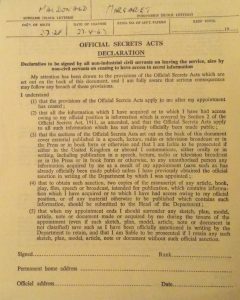 She does recall one occasion, in the 1950’s, being sent alone to a house to interview the father, mother and sister of a wanted serial killer. She felt quite uncomfortable and is sure that the killer was in the house. Although Margaret can’t be certain, there is every likelihood that the family was that of the notorious killer Peter Manuel. 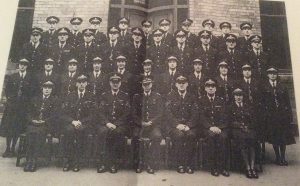 Margaret also recalls, as most of us do, having only her wooden baton and whistle as protection when she was on duty. 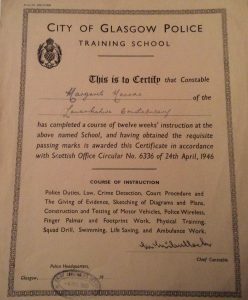 Margaret thoroughly enjoyed her police career, however, on the 23rd of July 1961 Margaret resigned from the police to marry the love of her life, become a housewife and to start a family. She later lived in Irvine, Lochaber and her final home in Dingwall, where she still lives today. 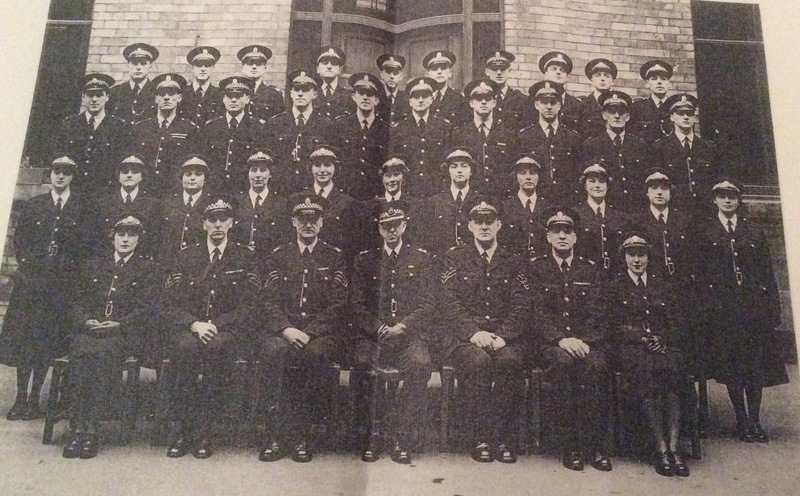 Margaret has many fond memories of her police career and of those that she worked with recalling such names as Agnes Corrie and David Robb from her time at Baillieston. 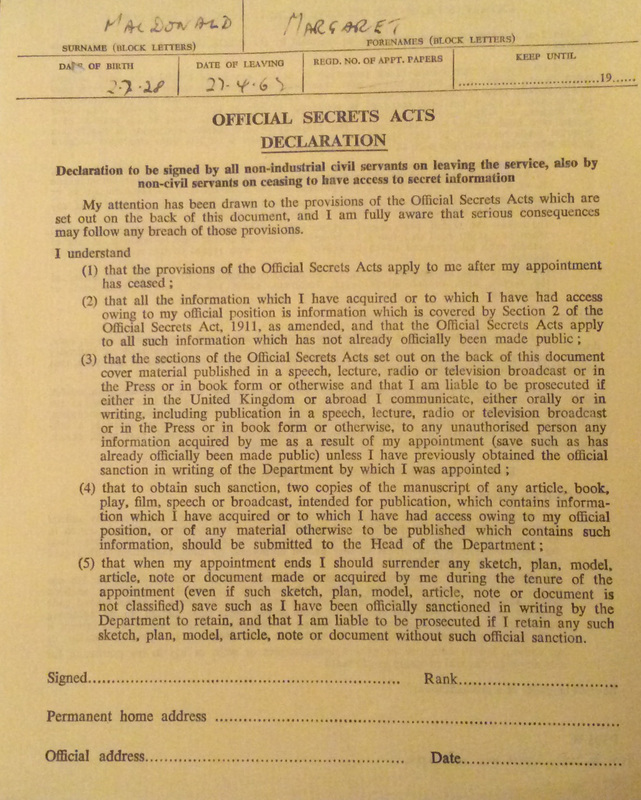 She also recalls signing the Official Secrets Act on her resignation, a copy of which she has retained. We thank Margaret for the information and photographs that she was able to provide.